This is the latest post in our There’s an Archivist for That! 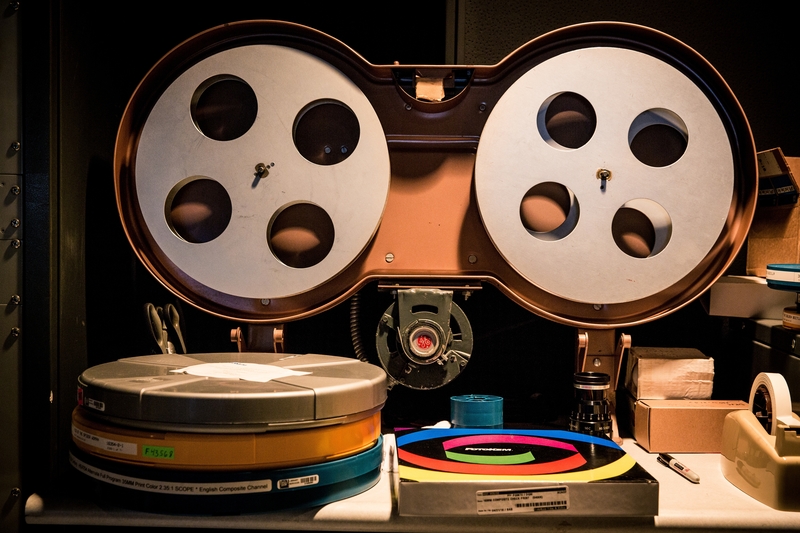 series, which features examples of archivists working in places you might not expect. In this post, COPA member Vince Lee brings you an interview with Lilly Carrel, Archivist at the Menil Archives, part of the Menil Collection in Houston, Texas. Archivist Lilly Carrel outside of the Menil Archives. Courtesy of The Menil Collection, Houston. Photo: Anthony Flores. VL: How did you get your gig? LC: I joined the Menil Archives in July 2018. Previously I worked as a project archivist at the Bentley Historical Library at the University of Michigan. I earned my Master of Science in Information Studies from the University of Texas at Austin and since graduating my goal has always been to return to Texas. After two project positions, I applied to the archivist job opening at the Menil. I was particularly drawn to the position because of the diversity of job responsibilities including records management, digital preservation, and all aspects of the archival enterprise. I also felt a deep connection to the institutional mission to make art accessible and a commitment to social responsibility and justice. I have no background in art, but I love that as an archivist I am able to apply my expertise in records theory and practice to different content and promote this extraordinarily rich collection of art-related records. VL: Tell us about your organization. LC: The Menil Collection is an art museum located in Houston, Texas in a 30-acre neighborhood of art, and houses the art collection of founders John and Dominique de Menil. The Menil Collection includes the main building, designed by architect Renzo Piano and opened in 1987, the Cy Twombly Gallery, the Dan Flavin Installation at Richmond Hall, the Byzantine Fresco Chapel, and the Menil Drawing Institute, designed by Los Angeles-based architects Sharon Johnston and Mark Lee (Johnston Marklee) and opened in November 2018. The Menil Collection and its diverse neighborhood of art is governed by the Menil Foundation, established in 1954 by the de Menils. Prior to the opening of the Menil Collection, the de Menils had active partnerships with the University of St. Thomas and Rice University and organized many important and influential art exhibitions. The Menil Archives is the institutional repository for the Foundation and is responsible for acquisition, organization, preservation, and access to museum records and special collections. 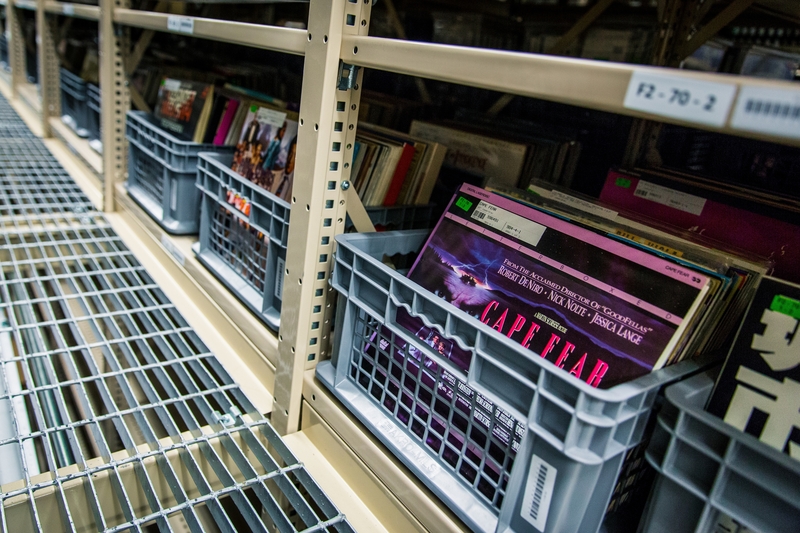 LC: The Menil Archives was founded in 2000 and its primary function is to identify, collect, organize, preserve, and make accessible records of informational and evidential value to the institution. The Archives primarily document the functions and activities of the Foundation including records of the board of trustees, exhibition history files, building projects, and museum departments such as Curatorial, Collection Development, and the Business Office. The Menil Archives also holds a number of special collections including the papers of art critic and collector Rosalind Constable, curator Jermayne MacAgy, and artists Jim Love and Roy Fridge; family papers of John and Dominique de Menil; and research papers from Menil-funded publications including the René Magritte and Jasper Johns catalogue raisonnés. The Archives total approximately 2,500 linear feet and includes records in all formats—textual, audiovisual, born-digital, photographs, film, architectural drawings, ephemera, and some objects. The Menil Archives has a limited number of inventories available on its website and in 2019 will begin contributing finding aids to Texas Archival Resources Online (TARO), a state-wide consortium of archives, libraries, and museums. VL: What are some challenges unique to your collections? LC: Museum archives are an interesting type of archives. Often departments need to maintain physical and intellectual ownership of their records because, in a sense, they are always active. Example include conservation records which may document treatments of artworks, or artwork object files frequently referenced by curators and registrars. 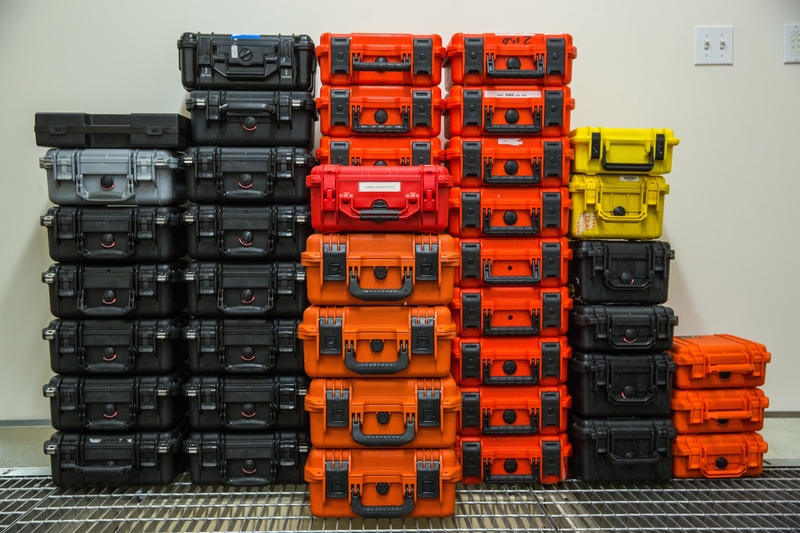 This can lead to confusion as to what records “belong in the archives,” but also offers opportunities to collaborate and facilitate a post-custodial approach to recordkeeping. Since joining the Menil, I’ve been exploring ways to improve records management practices with a particular focus on electronic records and digital preservation. I think digital preservation offers creative ways to enhance the post-custodial approach and ensure important records are preserved. VL: What is your favorite part of your job? LC: The Menil Archives is an exciting place to work! Every day is different and I love the dynamic nature of working in a two-person shop. I am fortunate to collaborate with excellent colleagues including Lisa Barkley, Archival Associate, who has been with the Menil since 2008. Every day presents new opportunities, projects, reference inquiries, and I am always learning. I also feel fortunate to work for an institution with a keen sense of its own history, that values and seeks out the rich archival resources available to staff and the public. The Menil Collection. Photo: Kevin Keim. Dominique de Menil and artist Jim Love, Rice University, 1972. Courtesy of Menil Archives, The Menil Collection, Houston. Photo: Hickey-Robertson, Houston. The De Lux Theater, Houston, 1971. Courtesy of Menil Archives, The Menil Collection, Houston. Photo: Hickey-Robertson, Houston. Peter Bradley (center) and others installing art for “The De Lux Show” De Lux Theater, Houston, 1971. Bradley, an artist, curated the exhibition. Courtesy of Menil Archives, The Menil Collection, Houston. Photo: Hickey-Robertson, Houston. Installation photography of “The De Lux Show” De Lux Theater, Houston, 1971. Courtesy of Menil Archives, The Menil Collection, Houston. Photo: Hickey-Robertson, Houston. Exhibition history records, Menil Archives. Courtesy of The Menil Collection, Houston. Photo: Anthony Flores. Creating an inventory for a recent accession. Courtesy of The Menil Collection, Houston. Photo: Anthony Flores. This is the sixth post in our There’s an Archivist for That! 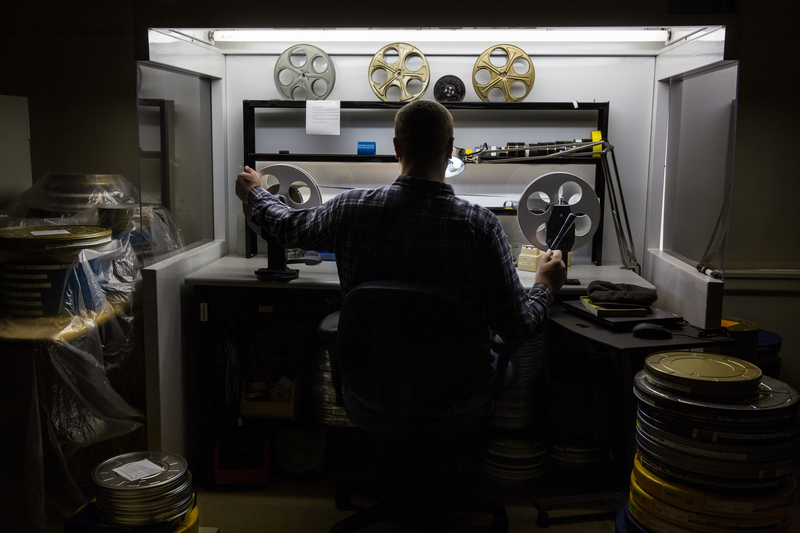 series, which features examples of archivists working in places you might not expect. 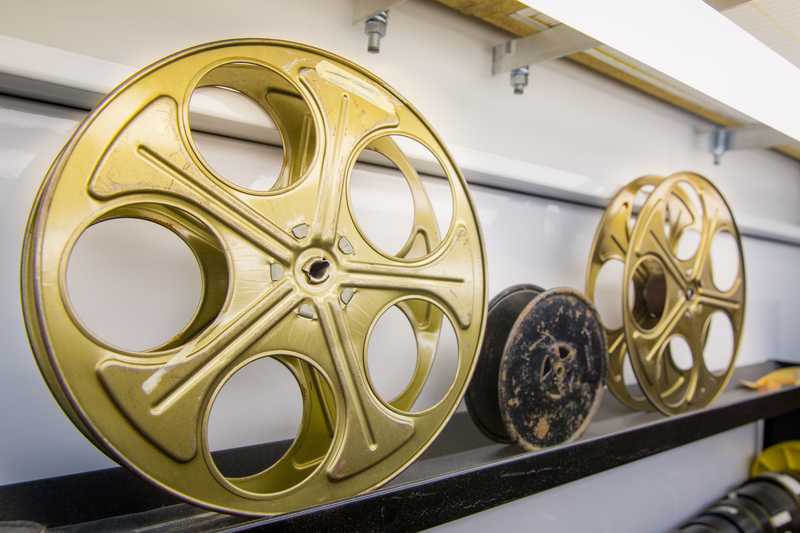 COPA member Anna Trammell, University Archivist and Special Collections Librarian at Pacific Lutheran University, brings you an interview with May Haduong, Public Access Manager of the Academy Film Archive. Courtesy of Nate Christenson / ©A.M.P.A.S. May Haduong is the Public Access Manager at the Academy Film Archive, where she oversees access to the Archive’s collection. Prior to serving at the Academy Film Archive, she was the Project Manager for the Outfest UCLA Legacy Project for LGBT Moving Image Preservation, a collaboration between the UCLA Film & Television Archive and Outfest, which produces the Los Angeles LGBT Film Festival. She currently serves on the Legacy Project Advisory Committee and is the chair for the Elections Committee for the Association of Moving Image Archivists. 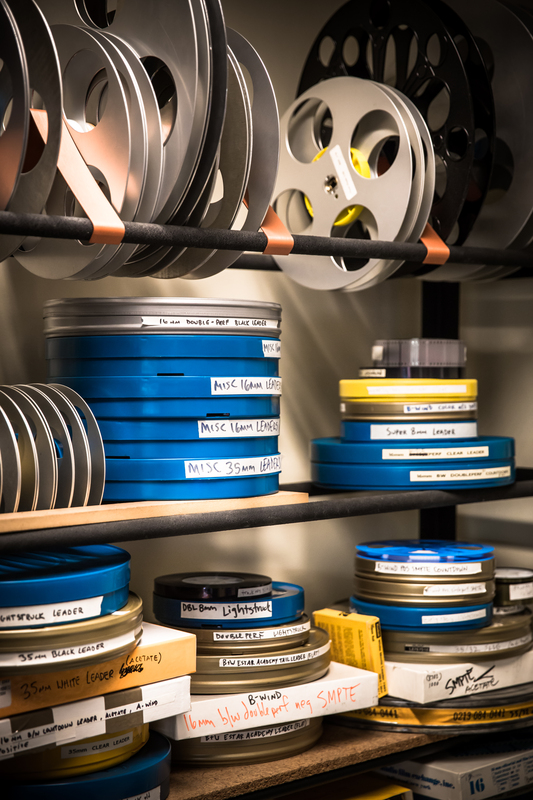 MH: As a UCLA graduate student, I interned with the Academy in 2005 and 2006 to help process home movies and a collection of Asian American cinema. After receiving my master’s degree, I served as the Legacy Project Manager for the Outfest/UCLA Legacy Project for LGBT Moving Image Preservation. When a job at the Academy Film Archive opened up in 2008, I jumped at the opportunity to return to the Academy and applied for the position. I firmly believe that my internship experiences at the Academy and the support that I received during that time helped me get hired. MH: While many people know of the Academy for the Oscars, they don’t know that the viewership of the awards show helps fund the Academy’s philanthropic work, including grants, scholarships, an internship program aimed at bringing more diversity to the field, a world-class library, and the archiving and preservation work conducted at the Academy Film Archive. As a queer woman of color, it’s important to me that my professional work aligns with my own personal beliefs. 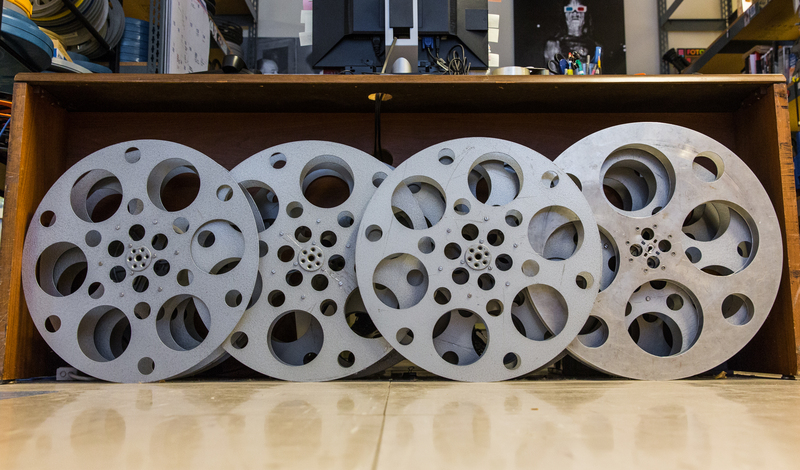 I’m proud to work for an organization that focuses on all aspects of filmmaking, from supporting underserved communities to preserving rarely seen films. 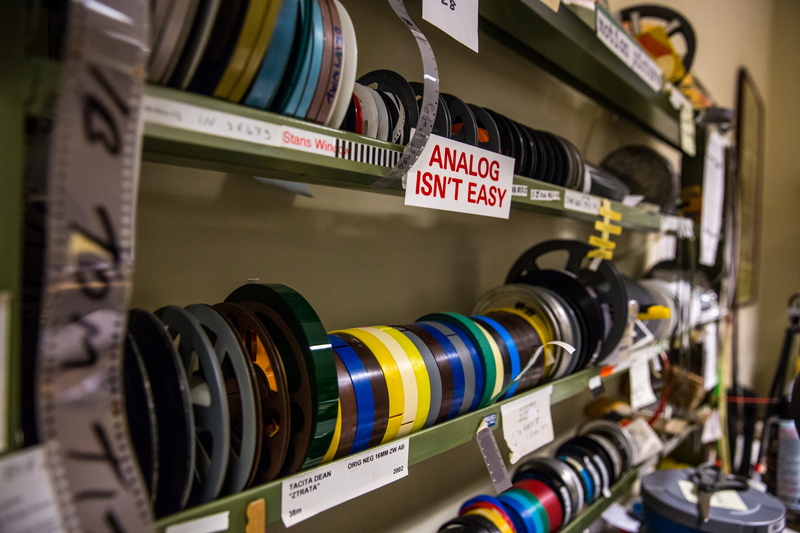 MH: The Academy Film Archive is home to one of the most diverse and extensive motion picture collections in the world. 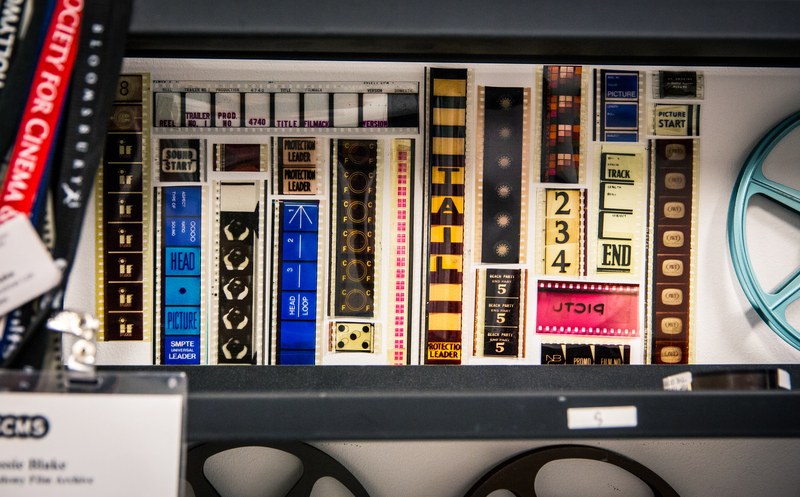 With over 200,000 moving image items in our collection, the Archive’s collection includes moving images from the advent of cinema to the present day, with significant holdings related to the history of the Academy and the Oscars, experimental cinema, studio titles, independent film, documentaries, early cinema, the history of the motion picture industry, home movies and amateur documentation, theatrical advertising and short films. 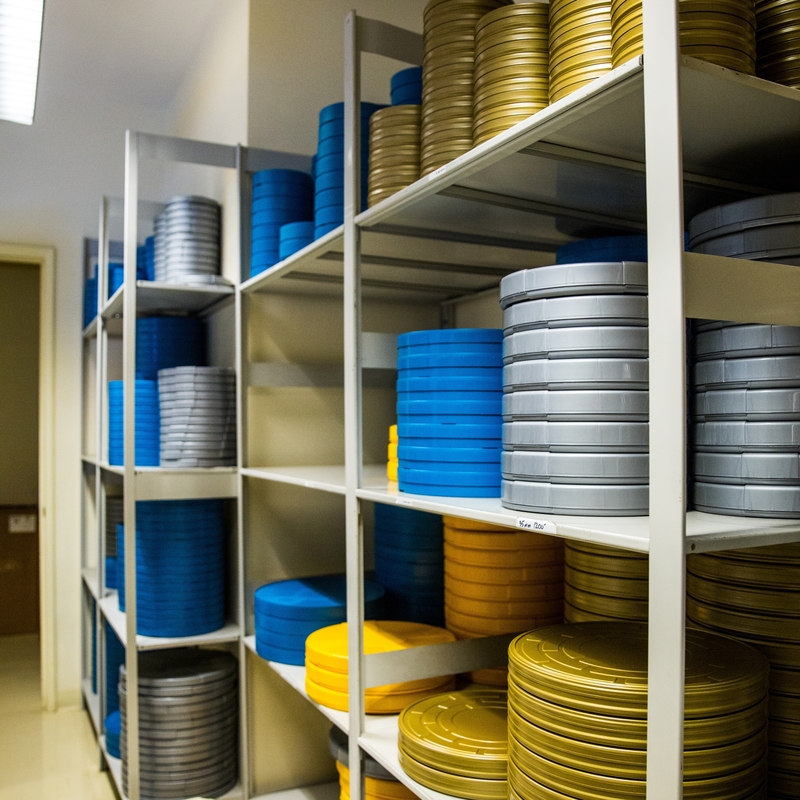 Since its establishment in 1991, the Archive has completed over a thousand film preservation and restoration projects. MH: While the Oscars help fund the great work that we do, it also becomes a focal point for some months of the year before the live broadcast. Because of the unique nature of the organization, some staff in the Archive – including myself and those in the access department – shift from traditional projects and workflow to working with show producers and the press to deliver archival content from our collections. This shift and the expectations implicit with the Academy’s work and reputation set a very high bar for service, speed, and quality. 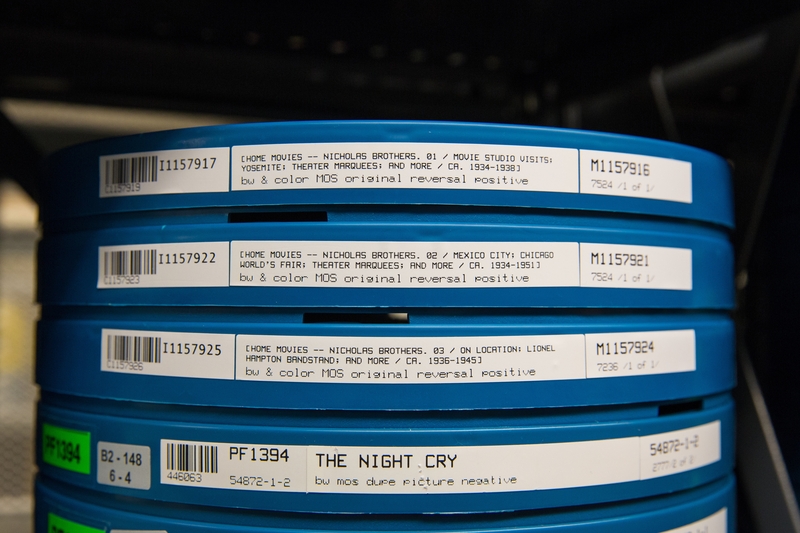 While “Oscar season” can certainly be stressful and busy, it also helps shine a light on the Academy’s work to preserve moving image history. 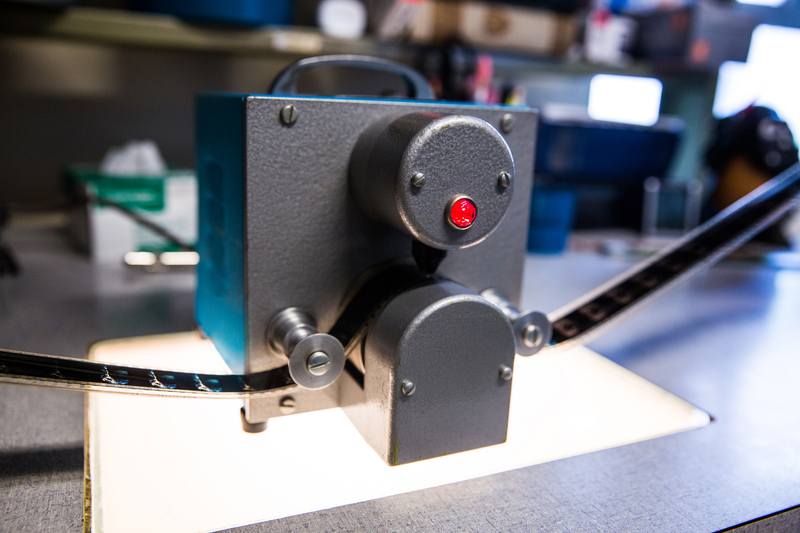 As a film archive, we have technological considerations that are continually shifting. 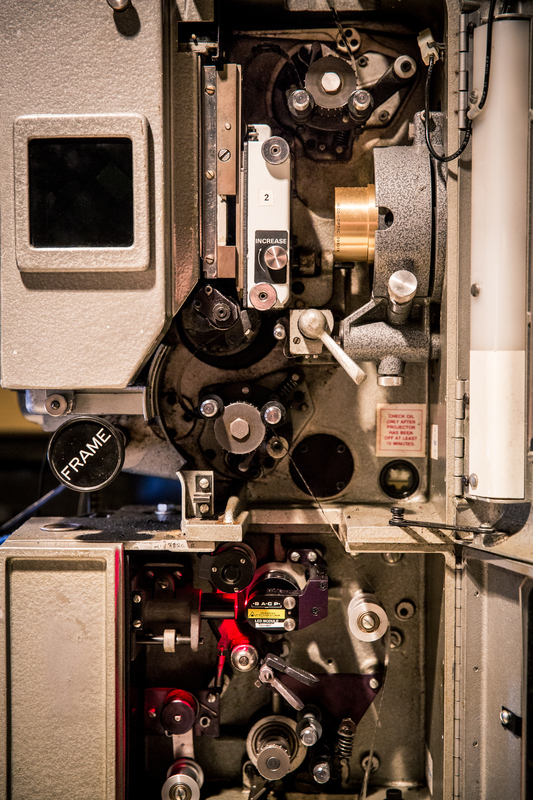 While we work to preserve moving images in the format in which they were originally seen, we also make choices to help provide as much access as possible through available mediums. 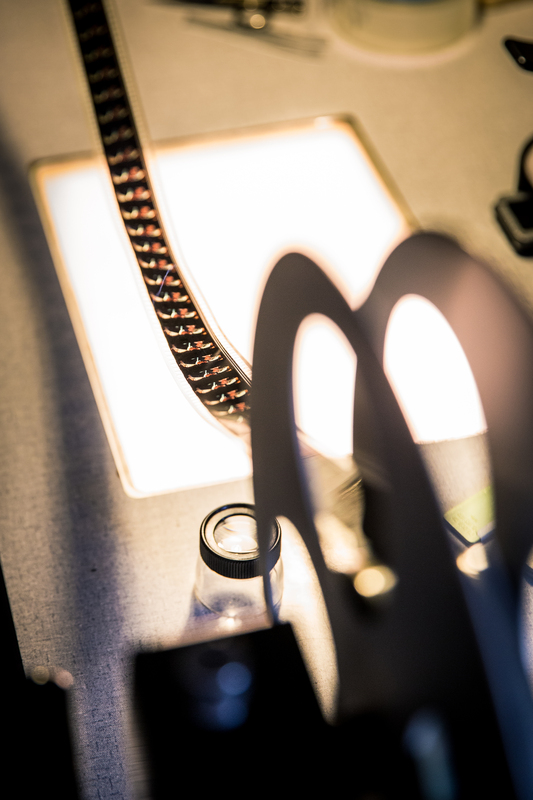 The digital transition, while challenging both fiscally and logistically, has helped push the Archive and the Academy towards a more forward-thinking approach towards conservation and preservation. MH: I love finding unique items in our collection and providing access to them. As I’ve mentioned, we hold a wide range of material and thus we often come across films that have rarely been seen. Recently, a colleague and I located a family member of a home movie collection that was filmed by a queer interracial couple in the 1970s. We were able to show the films, with the family’s permission, at a conference, discussing concerns around privacy, cultural competency, and archival ethics. 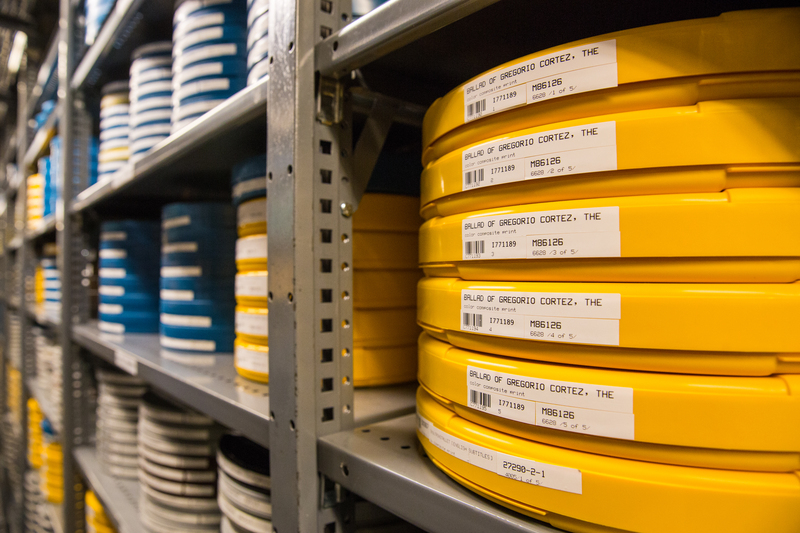 The access department also works with film programmers and scholars from around the world, providing access to the collection online, on-site in Hollywood, and through loans of 16mm and 35mm prints to repertory venues. 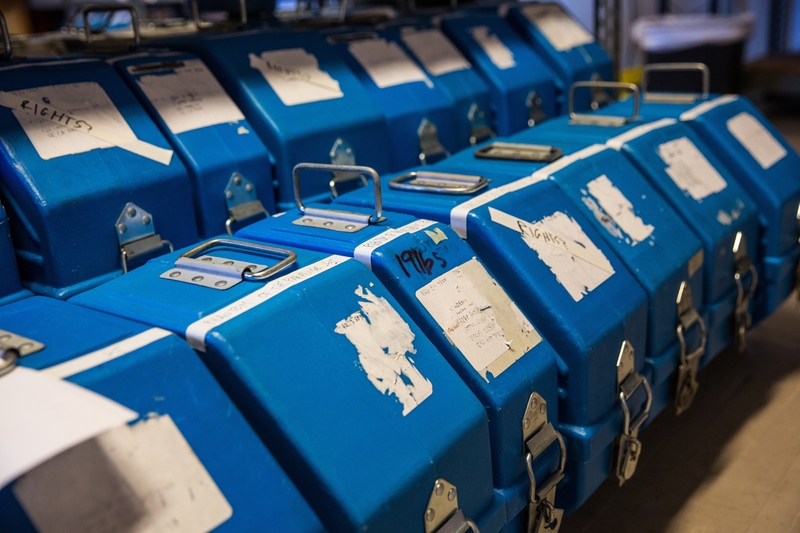 I became fascinated with film archiving as a queer film programmer some many years ago and I see the work that archives do, including the Academy, as important in helping ensure that films are conserved, preserved, and seen. This is the fifth post in our new There’s an Archivist for That! 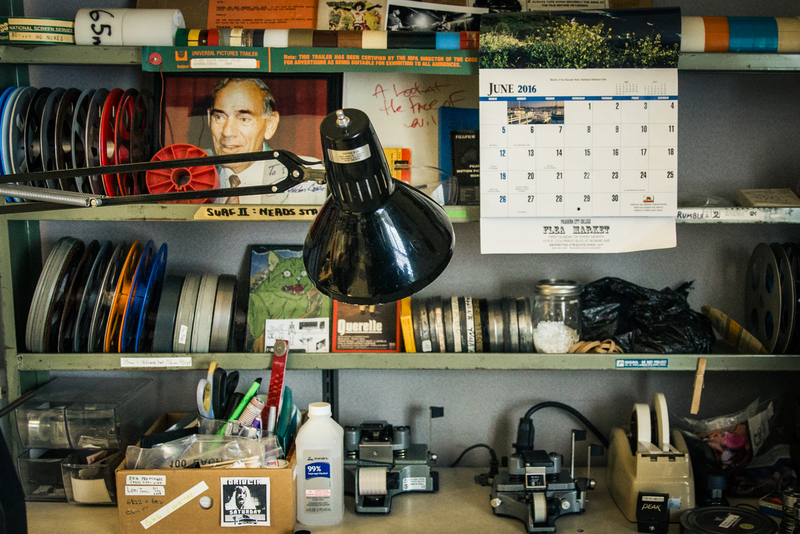 series, which features examples of archivists working in places you might not expect. To continue this new series, COPA member Rachel Seale, Outreach Archivist at Iowa State University, brings you an interview with Steve Hausfeld, manager of the Nationwide Library and History & Archives Center. Photograph of Steve Hausfeld (courtesy Nationwide History & Archives Center). Steve Hausfeld is Manager of the Nationwide Insurance History & Archives Center and Library, which is part of the Marketing, Customer Insights & Analytics team. Steve came to Nationwide in 2006 as corporate archivist to reestablish the heritage management initiative for Nationwide. Steve holds a Bachelor of Fine Arts from Bowling Green State University (1995), Master of English with Public History Certificate from Wright State University (1998), and a Master of Science in Library and Information Studies from Florida State University (2010). Steve lives in Lewis Center, OH with his wife Lisa and two children, Carter and Sydney. SH: Prior to joining Nationwide, I held positions that focused on managing corporate/organizational archives. I started my career in 1998 with a consultancy, The History Factory, managing the archives of corporate and association clients. This was great experience for a young archivist; I learned that organizations have significant archival collections, which opened my eyes to the potential for a career outside of a more traditional archives institution. I learned how to manage large archival collections, work with clients, and communicate the value archives and heritage can create for an organization. Following that, I started the archives for a government-owned corporation, The Export-Import Bank of the United States. This not only gave me insight into working for the federal government, but also introduced me to special libraries, which I hadn’t experienced before. These were the skills needed to come to Nationwide Insurance and restart the archives and heritage program. Nationwide History & Archives Center Museum entry (courtesy Nationwide History & Archives Center). Nationwide History & Archives Center Museum entry wall (courtesy Nationwide History & Archives Center). SH: Nationwide Insurance is a Fortune® 68 company headquartered in Columbus, OH with major offices in Des Moines, IA; Harleysville, PA; Scottsdale, AZ; Brea, CA; San Antonio, TX; and Gainesville, FL. Nationwide is a mutual insurance and financial services company, meaning we report to our policyholders, not shareholders. Nationwide was founded in 1926 by the Ohio Farm Bureau Federation to help Ohio farmers save money insuring their vehicles. Our original name was Farm Bureau Mutual Automobile Insurance Company. We have over 34,000 employees nationally with about 11,000 in the Columbus area. SH: The Nationwide History & Archives Center holds historical records, photographs, artifacts and memorabilia for the entire Nationwide enterprise. Our records range in date from the mid-18th century through to present. Nationwide has acquired dozens of companies over the years; our collections reflect the breadth of these companies. For example, we have the original charter of the first life insurance company in America (the Presbyterian Ministers’ Fund) established in 1759. We also collect modern digital records such as the newly redesigned Nationwide website preserved through Archive-IT. The collection is managed by myself along with two other full-time archivists, Mandy Jennings and Sadie Chen. SH: My team and I often joke about the challenge of making insurance and financial services history interesting. Fortunately, our associates are very engaged with Nationwide and our history. Most recently, our biggest challenge has been to make the case for expanding the Nationwide History & Archives Center. Two years ago, I began having conversations with key stakeholders to build support for the expansion idea after space became available. Our storage space was maxed-out and we were acquiring collections from a couple large subsidiaries. Additionally, we had over 1,500 associates through on tours per year; and our art collection (which we oversee) needed improved storage. These conversations resulted in approval for the expansion, which came in the summer of 2017. Construction was completed in February and our grand re-opening was held April 11, 2018. This expansion was a huge “win” and a demonstration of support for our mission. Looking forward, with the significant investment made by the company, we must continue to demonstrate our value to the organization. I see this as a huge opportunity, because I have a great team and our employees are so engaged in the work we’re doing. First, I love working with my archives team. I can’t imagine working with people more passionate about their work and Nationwide’s heritage than Mandy and Sadie. Second, I really enjoy meeting with associates and telling them stories about our history. Whether I’m leading tours or giving talks at team meetings, I enjoy engaging associates with stories about our heritage. And finally, I like diving into our history to answer research questions that connect our past successes to business decisions today. The There’s an Archivist for That! 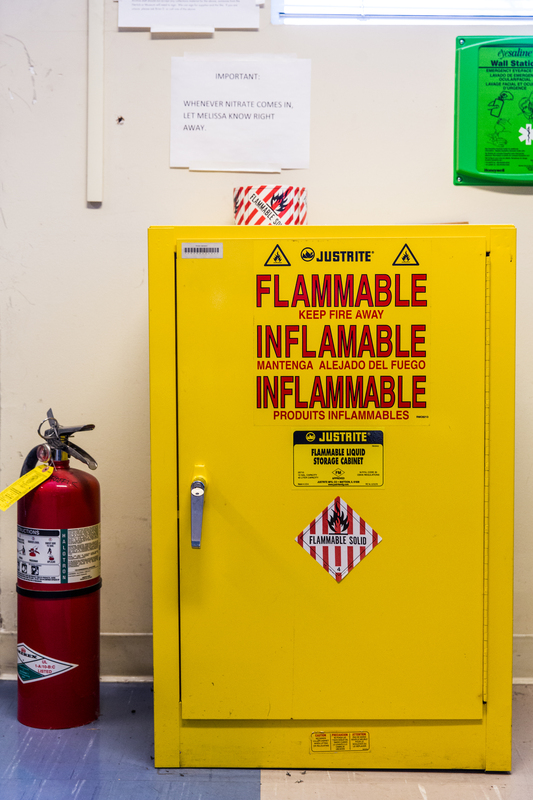 series features examples of archivists working in places you might not expect. COPA member Anna Trammell, Archival Operations and Reference Specialist at the University of Illinois Archives Research Center/Student Life and Culture Archives, brings you an interview with Colleen McFarland Rademaker, Associate Librarian, Special Collections at the Corning Museum of Glass Rakow Research Library. Colleen McFarland Rademaker currently serves as associate librarian, special collections at the Rakow Research Library, The Corning Museum of Glass. Previously she was head archivist for the Sisters of Charity of Leavenworth (2015-2017), director of archives and records management (2012-2015) and archivist (2010-2012) for the Mennonite Church USA in Goshen, Ind., and head of special collections & university archivist at the University of Wisconsin — Eau Claire (2006-2010). She serves on the Society of American Archivists Publications Board (2014-2020) and is certified as an interpretive guide by the National Association for Interpretation. Colleen received a B.A. in German and history from the College of Wooster, an M.A. in history from Cornell University, and an M.L.I.S. from the University of Wisconsin — Milwaukee. AT: How did you get your gig? CMR: After working in academic archives for six years and religious archives for seven years, I took what may not look like a logical “next step” by seeking a position in a museum archives. However, the Corning Museum of Glass is not just any museum, and neither is it an archival program. I was immediately drawn to the institution’s interdisciplinary mission to document and promote the art, history, science, and technology of glass. Few repositories offer the opportunity to work both broadly and deeply across disciplines, and I embraced the challenge of serving patrons who bring expertise from incredibly diverse backgrounds to the research process. Having an interdisciplinary academic background myself, I recognized that this position might be a great fit for me. As for the mechanics of getting the job, I confess that I applied for a different position than the one I currently hold. A very strong internal candidate was offered the position I originally applied for. In delivering that news to me, the chief librarian asked whether I might be interested in a different position in the organization. My answer was obviously an enthusiastic yes! CMR: The Corning Museum of Glass was founded in 1951. Corning Incorporated (then Corning Glass Works) gave the museum to the nation as a gift on the company’s 100th anniversary. The museum tells the world about glass by hosting over 400,000 visitors annually in its glass collection galleries, innovation center, glassmaking school, and center for glass scholarship, the Rakow Research Library. 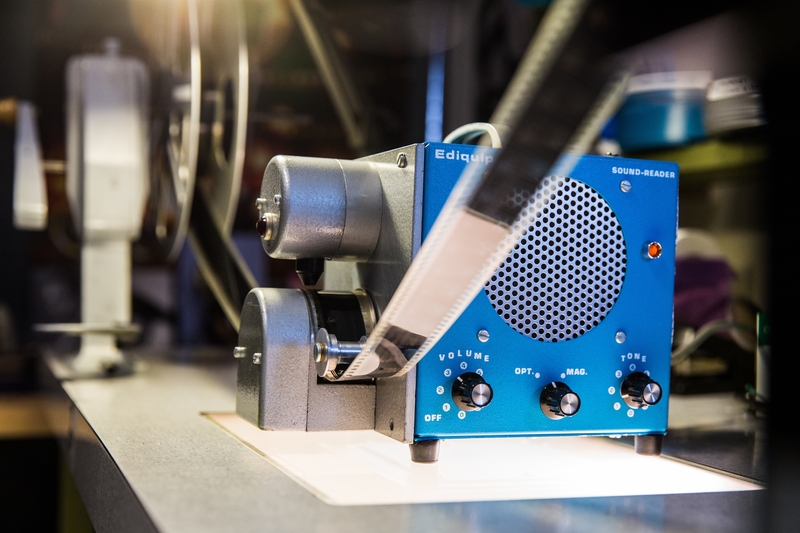 Guest artists frequently work and teach at the museum, and the museum takes glass demonstrations on the road with a hot glass roadshow mobile unit. The museum’s commitment to glass scholarship is evident in the fact that the library is one its largest components. The library hosts researchers from around the globe, and library staff answered over 4,400 reference questions last year. The newly-formed special collections department provides leadership in managing all unique materials, but especially 20th and 21st century manuscript collections created by glass artists and manufacturers. CMR: The Rakow Research Library holds the world’s most comprehensive collection on glass making. 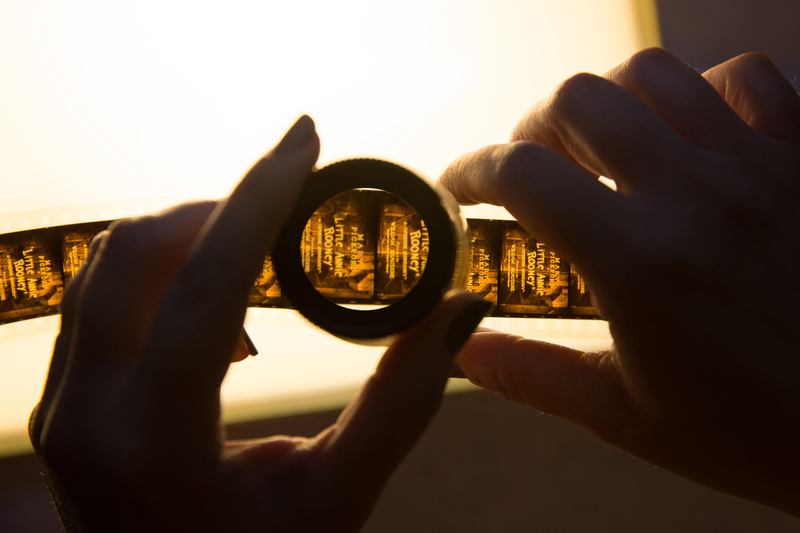 Its special collections include everything from a 12th century Mappae Clavicula (a medieval Latin text containing material formulas) to digital video capturing contemporary glass artists at work. While special collections includes rare books, trade catalogs, works of art on paper, and archival collections, I’ll focus only on the archival collections here. The library functions primarily as a collecting institution and has acquired over 200 manuscripts documenting the work of glass artists, glass factories, stained glass firms, glass researchers, and glass collectors. Some of our most significant and heavily-used collections are those documenting the local glass industry. While Corning Incorporated maintains its own corporate archives, the records of the cut glass manufacturer T. G. Hawkes and Co., and the art glass producer Steuben Glass Works are among our most beloved holdings. These records not only provide an important glimpse into the economic and social history of the region, but also support the provenance research of glass collectors. These records also complement the records of glass firms outside of the region, such as the recently-acquired records of Fenton Art Glass Company. Among the personal papers in our holdings, glass artists’ papers have great significance because they document all phases of the creative process, from inspiration to execution. Glass recipe books, called “batch books,” are invaluable not only to glass researchers, but also to glass artists today who continue to experiment with glass formulas. And while the museum curators collect representative pieces from glass artists, the artists’ papers contextualize those pieces in photographs of and writing about the broader body of work. 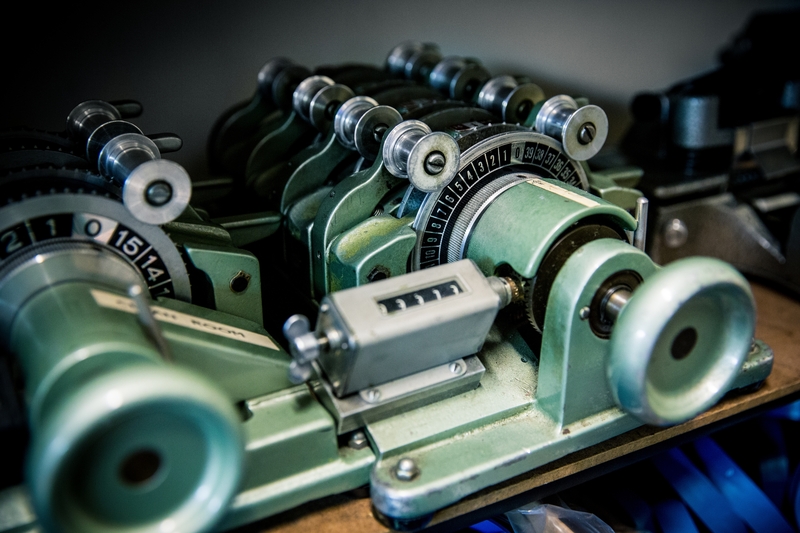 The museum’s institutional archives also reside among the archival holdings. As the Corning Museum of Glass approaches its 75th anniversary (2026), its historic records are more important than ever. 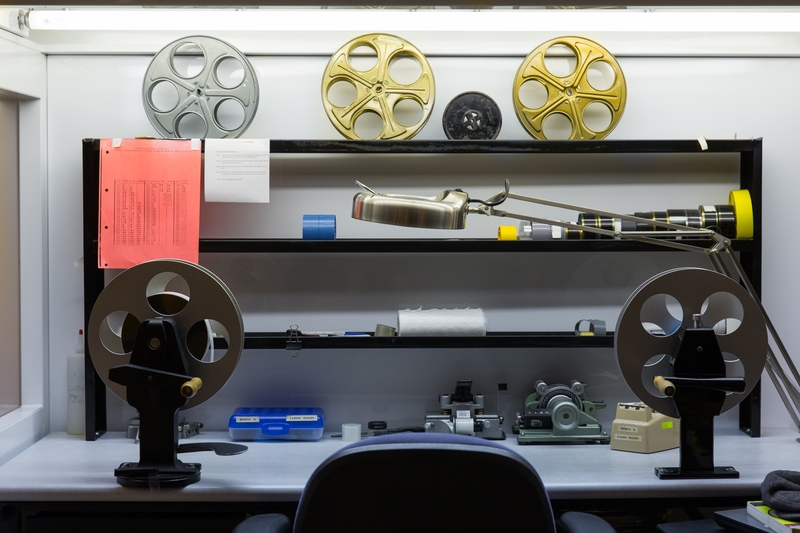 As the memories of long-tenured retired staff members begin to fail, current museum staff have increasing need to consult the institutional archives. CMR: The museum suffered a devastating flood in 1972, and none of the collections were spared. A selection of images of the flood damage and subsequent conservation work may be seen here. That the museum reopened just six weeks after the flood seems nothing short of a miracle! Significant resources were invested to conserve the collections, and the museum contracted with experts, including book conservator Carolyn Horton. However, the institution’s own records were not fully conserved, and original order was lost during salvage operations. Individual documents were chemically treated, dried, and repacked into dozens of records cartons. Some hold related caches of documents, while others do not. Imposing an arrangement on the museum’s early records presents a significant challenge because of the time it will require. Sadly, MPLP is not an option for this project. We are also in the midst of documenting the first generation of Studio Glass artists. Art glass production began to move from factories to small studios in the early 1960s, where artists could collaborate, experiment, and make one-of-a-kind objects. The pioneers of the Studio Glass movement are now considering their legacies, and many wish to make their papers available to future generations of glass artists and researchers. The volume of papers and the narrow timeframe for collecting pose a formidable task. CMR: I have the privilege of working with tremendously knowledgeable and dedicated people! Having worked as a lone arranger for most of my career, I am enjoying the company and expertise of others who share my sense of mission and passion for the collection. I also appreciate the enthusiasm and intellectual generosity of the glass community – the artists, collectors, and scholars who create and use the records under my care.